If you’re the proud (or panicked) owner of a long term care (LTC) health insurance policy, I’ll bet you 10 to 1 you heard the phrase “lock in the rates” from the agent who sold you your policy. Thousands of people were told at the point of purchase that it was smart to take out their LTC policies sooner rather than later before the premiums on these policies became prohibitively expensive. It makes sense, right? Better get in now, before all those aging baby boomers start making claims and LTC insurance becomes impossible to afford! The only problem is that LTC insurance is a lot like health insurance—the premiums can increase at any time, by any amount. Buried deep within the fine print of your policy was a disclaimer that probably read something like, “Your rates are subject to future increases”—nothing was ever guaranteed. The reason premiums have increased is because insurers misjudged the duration and cost of claims. In 1980, LTC expenditures in the U.S. were $30 billion, but by 2015 that figure had skyrocketed to $225 billion, according to Morningstar research. In some cases premiums have increased as much as 130%. I’ve spent the last few months having some very difficult conversations with clients who are struggling with what to give up so they can afford their premiums. They’re often confused not only because of the “locked in” language used at the point of sale, but also because they’ve been “loyal” customers for years and they always paid on time. When I tell them there’s nothing to be done, they feel trapped. And they are. Before we get into those conversations and possible solutions—don’t worry, I’m not going to leave you hanging without an escape hatch—let’s look at how we got here. At the end of the day, long term care insurance is sold by salesman working on commission. It’s no surprise then that the LTC market has grown from 1.7 million insured in 1992 to more than 7 million people insured as of 2014, according to NAIC. And the numbers are showing no signs of slowing—it’s estimated that more than 12 million seniors will require LTC by 2020. Anyone who’s been tracking the increase on health insurance premiums probably isn’t surprised to find a similar jump in LTC insurance costs. For example, in the ten years from 2006 to 2016, average health care deductibles increased from $303 to more than $1,200, and total out of pocket spending rose by 54%, from an average of $525 in 2006 to $806 in 2016, according to data from Kaiser. Don’t get me wrong, I absolutely understand the appeal of LTC policies. End-of-life care is estimated to cost $217,820 for a patient’s final five years without dementia; if he has dementia that price jumps to $341,651, according to Morningstar research. Most people purchase LTC policies from a place of love for themselves and/or for their loved ones. No one wants to think that their care will suffer just because the funds in their retirement accounts run out. They also don’t want to become a financial or emotional burden to their family. And those staggering figures above are of course in addition to the estimated $5,000 per year retirees will need for health care premiums and out-of-pocket expenses, according to Fidelity. The picture is even more dire for women, who have a life expectancy that’s five years higher than men. The average woman will have 39% higher health costs than the average man in retirement, paying an additional $194,000 over her lifetime, according to the Merrill Lynch “Women and Financial Wellness” study. So, what’s to be done for my increasing rates? While some states and the NAIC have begun to put “rate stability legislation” in place to prevent premium hikes, this does nothing to help individuals who are in their 80s today and are struggling to pay premiums each month—but this could be good news for people 20 years from now. Today one of the most common questions I get asked from my senior clients is what to do about increasing long term care insurance premiums. While continuing to pay the premiums—even if it hurts—is certainly one option, there are others out there, and in my opinion, they’re much better. What else is out there? I’m glad you asked. As you may have guessed by now, I’m not a proponent of LTC insurance, and it seems perhaps others are joining my chorus. Sales of new LTC policies have fallen from 754,000 in 2002 down to 129,000 in 2014. This contraction has gone hand-in-hand with an ever-shrinking number of insurers in the marketplace—down from more than 100 to fewer than a dozen. A better alternative to LTC insurance—and something I like to use in my practice—is the old-fashioned participating “whole life” insurance policies with a chronic illness rider to solve the majority of long term care protection problems. After all, why not have your cake and eat it too? 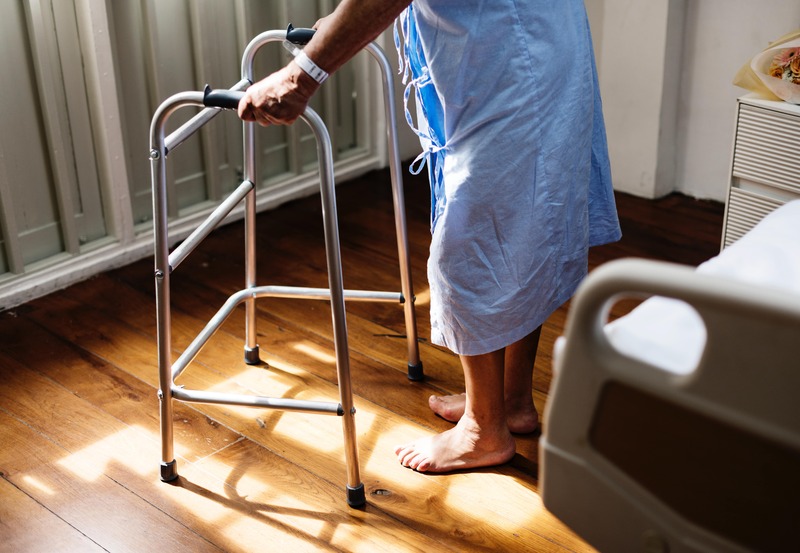 With these policies, if you wind up needing to move into a nursing home or other LTC facility, you can spend your death benefit completely tax-free for your care. If you shuffle off earlier than expected, your heirs will receive the benefit at your death. Another perk to these policies is if you were to sell your home or gain an inheritance, you’d have a safe place to park and protect your money until you need it. And as long term care costs increase, mortality also tends to increase, which favors the life insurance contracts’ return. The insurance industry has also created something called “hybrid life and LTC” policies that are sold as a single premium. Let’s do some quick math on that to show you how they work: If a 65 year-old woman invests $100,000 in a policy, she would be entitled to a LTC benefit payable in the future for $4,723 a month, up to a maximum of $226,000, or a $113,000 death benefit. Although I’m not a huge fan of this (because I don’t like giving up that much control over my money) it can work for someone who wants something that’s one-and-done, with some of the guesswork taken out of the process. Another option, if you take that same $100,000, is to invest it in a very safe layered bond portfolio with a 3% return, and from ages 65 to 75, pay it into a traditional participating mutual insurance contract. At age 80, this would produce $258,000 guaranteed cash value. The cash alone is more than the LTC benefit in the evaluated hybrid version, and additionally you have $590,000 of death benefit, far greater than the $113,000. Also, the bonus is that a portion of the death benefit (between $300,000 to $400,000, in this example) can be drawn on for chronic illness expenses. No matter what you choose, if you’re in the market for long term care you should compare all the options and make sure there’s not a better, cheaper way. This is your future and your money. Also, if you have a LTC policy, make sure you fully read and understand the terms of your contract. In some cases, you can inadvertently negate your contract completely by violating its terms, and you won’t get back a dime of what you put in. One example: checking out of the hospital against doctor’s orders. LTC companies can read this as your disobeying medical advice, and becoming a greater liability than you already were. And, if, for the second time today that inspired you to argue, but they can’t do that! Let me be the first to tell you that, in all cases: Oh yes they can. They are the insurance company. They are omnipotent. Need help sorting this out and making the right decision for you and your family? Call us 1-800-257-1723 or click here to schedule an appointment. John E. Girouard is author of Take Back Your Money and The Ten Truths of Wealth Creation, a registered principal of Cambridge Investment Research, and an Investment Advisor representative of Capital Investment Advisors.